You can’t go wrong with your version of classic style because pairing black and white is always classy. Collect all your black and white pieces from your closet and see if you can pair them differently and in a way that is creative for the holidays. 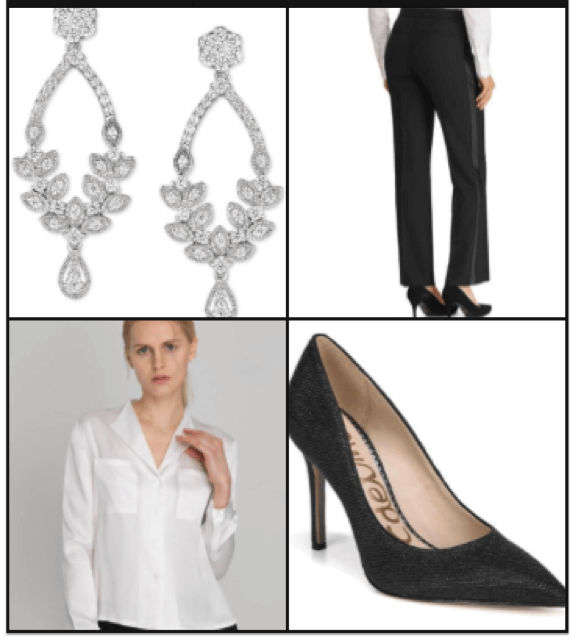 Try layering a black cashmere sweater over a long white tank with coated black skinny jeans for an edgy, classic look or find a beautiful black tuxedo pant and pair with a silk and/or cashmere top. 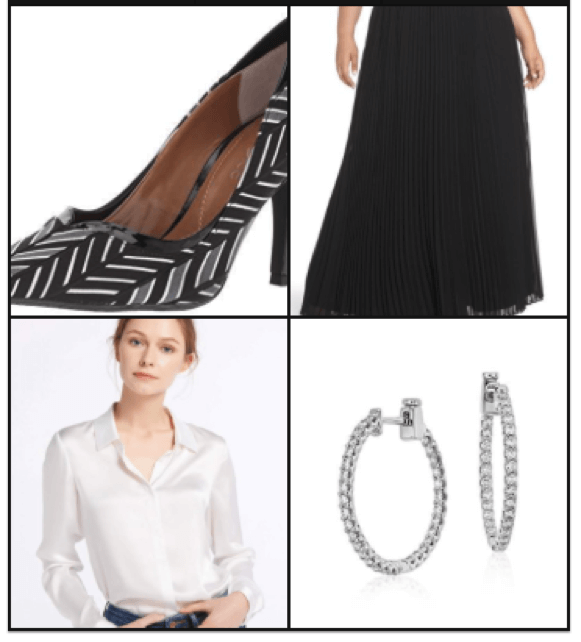 Wearing black and white together is the easiest formula to work with because you can always add color wherever you want with a shoe, an earring, a necklace or a purse. No matter how many seasons come and go, or how many fashion weeks there are – black and white always make an appearance in some form. And since black and white make for the starkest contrast in color, it’s more pleasing to the eye to create a look with a variety of fabrics and or textures. As long as there is either black or white in a pattern you want to add to your classic look, it will go. Again, try removing all your black and white pieces from your closet and see how creative you can get. Do you feel like your personal style is a combination of looks and pieces? That’s common. I’d love to help you find your own personal style and create outfits that close that gap between who you are on the inside and what your clothes say about you. Click here to set up a complimentary call.